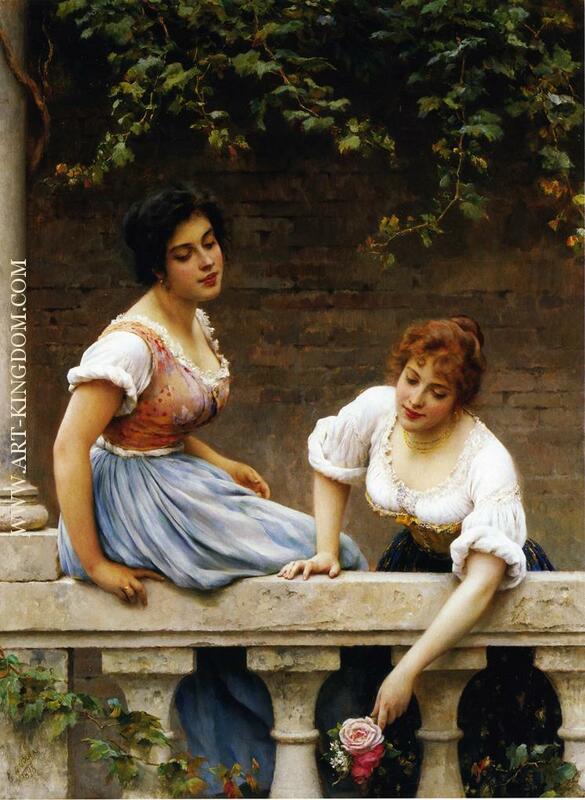 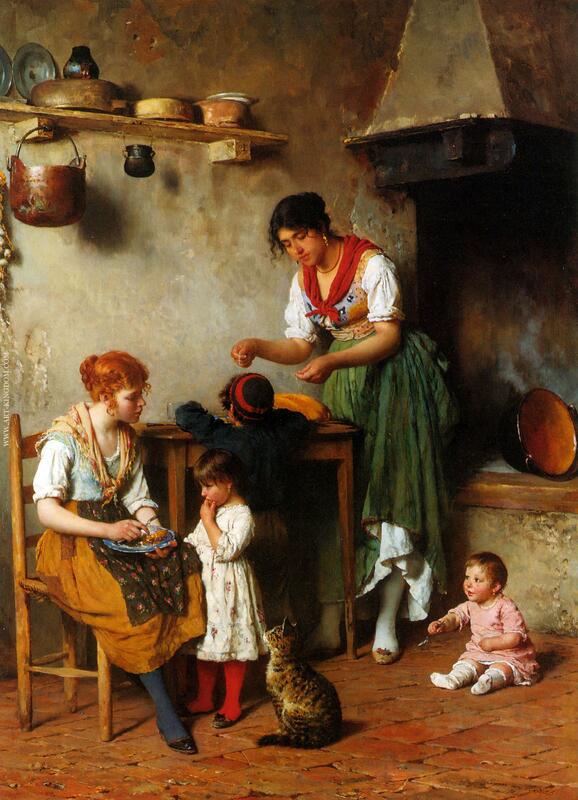 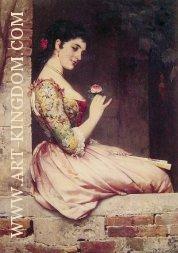 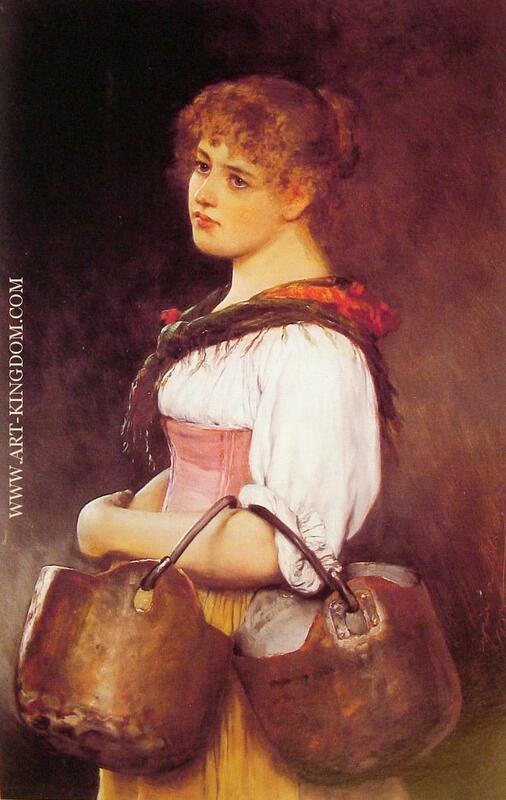 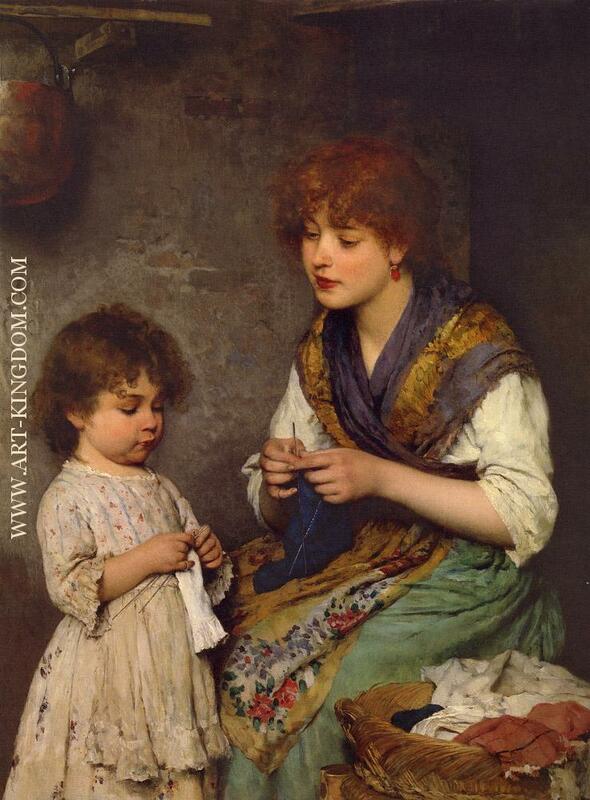 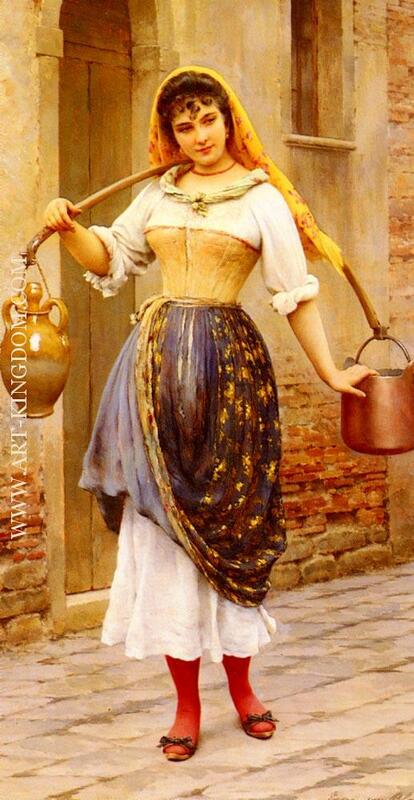 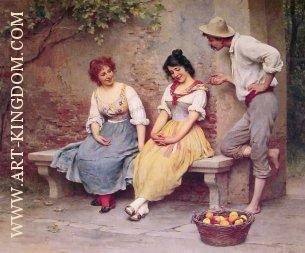 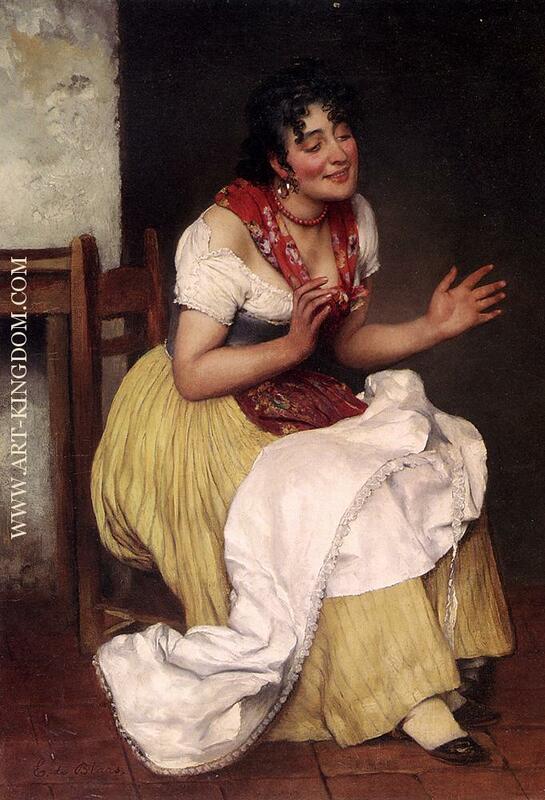 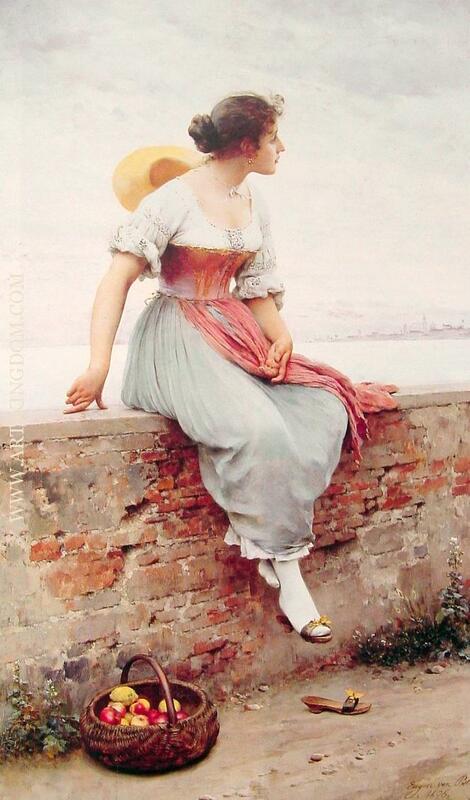 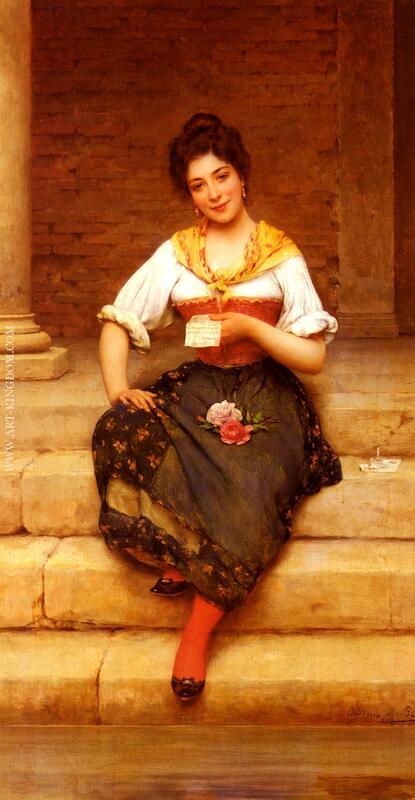 Eugene de Blaas, also known as Eugene von Blaas or Eugenio Blaas (24 July 1843 – 10 February 1932) was an Italian painter in the school known as Academic Classicism. 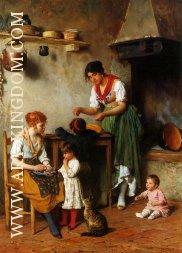 He was born at Albano, near Rome, to Austrian parents. 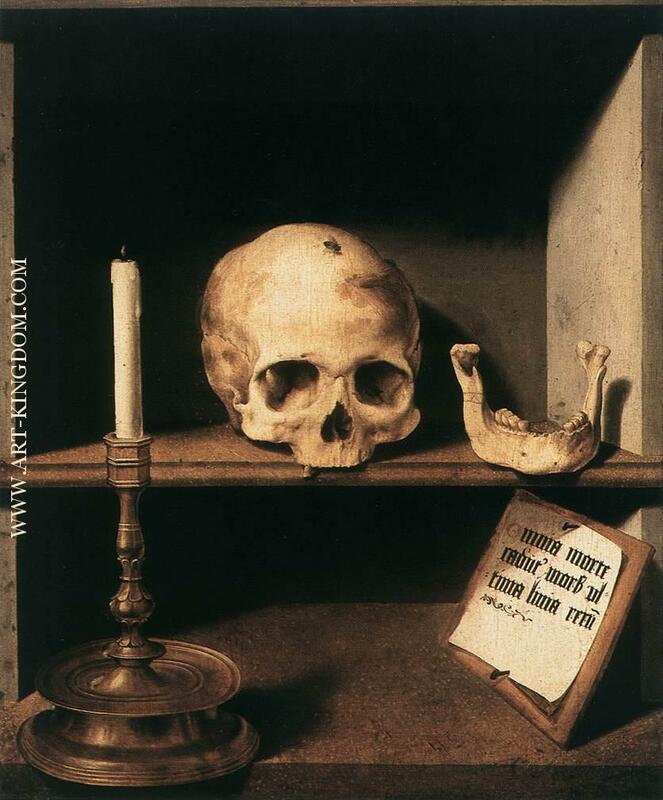 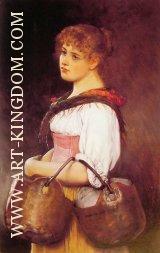 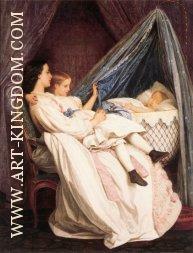 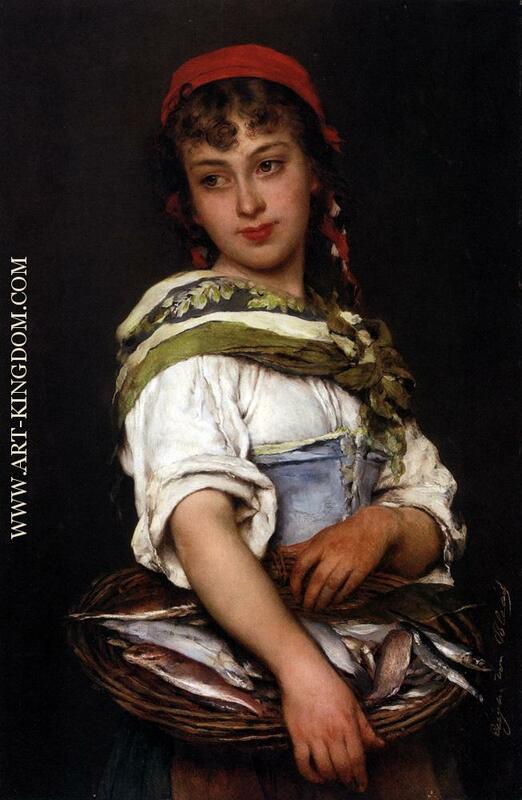 His father Karl, also a painter, was his teacher. 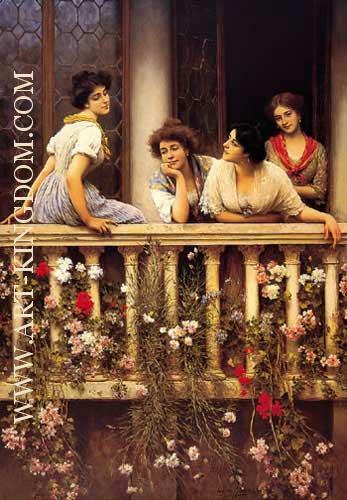 The family moved to Venice when Karl became Professor at the Academy in Venice. 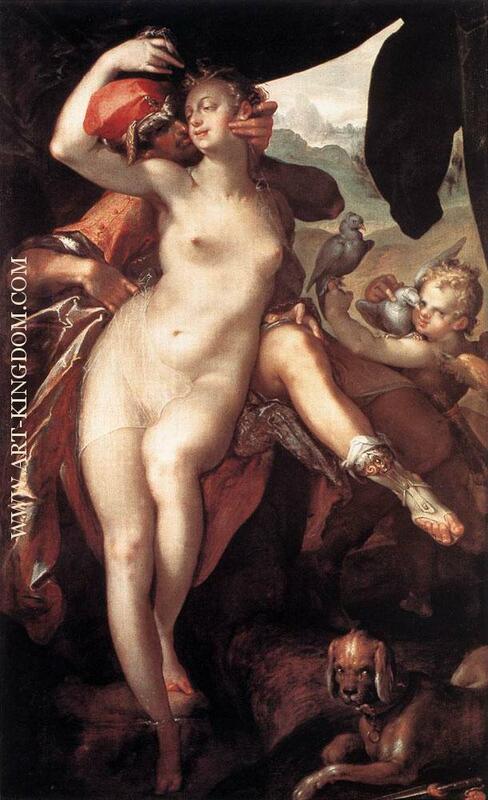 He often painted scenes in Venice, but also portraits and religious paintings. 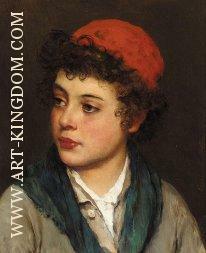 He became professor in the Academy of Venice. 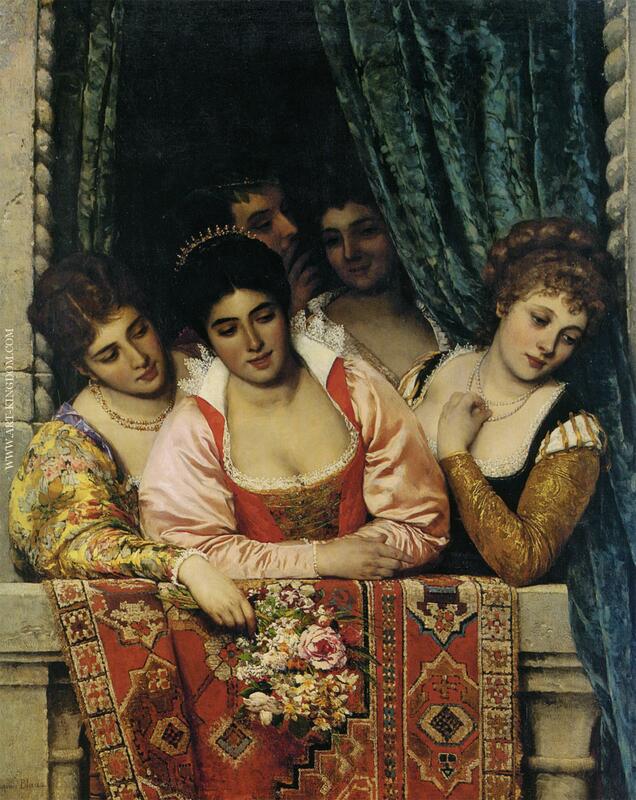 Among his works are La forma nuziale in sacrestia ; La tombola in Campielo a Venezia; Una scena di burattini in un educanciatu; and La Ninetta. 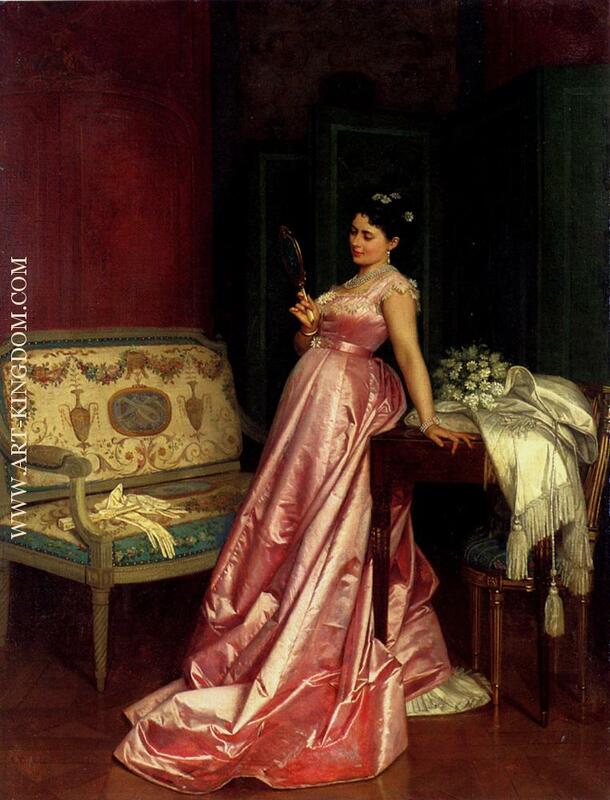 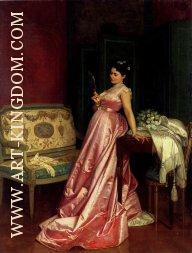 The art critic Luigi Chirtani, when the painting was displayed at the Mostra Nazionale di Venezia, described it as Beautiful, flattering, pretty, caressed, cleaned, polished, laundress in a painting by Mr. Blaas, the favorite portraitist of great Venetian aristocrats, dressed in gala satins, shining jewelry, hairstyles of the rich. 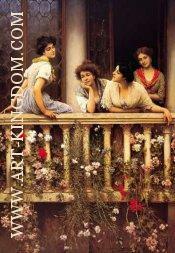 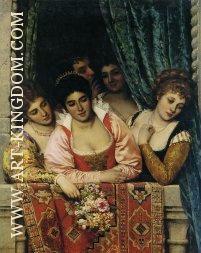 His colorful and rather theatrical period images of Venetian society, e.g. 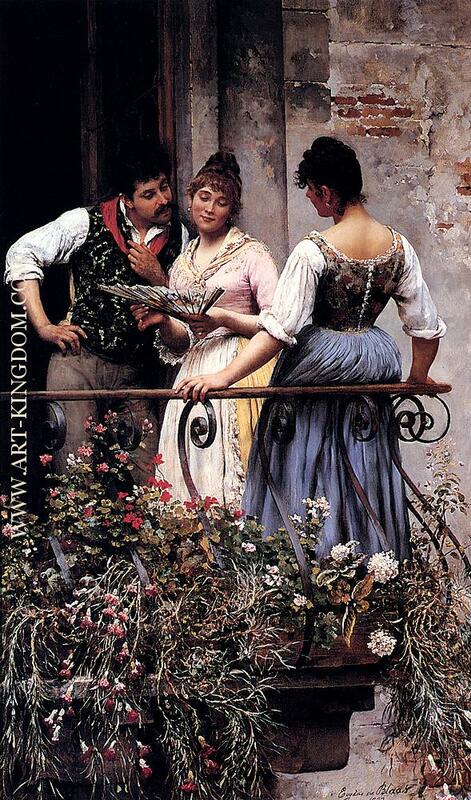 On the Balcony (1877; Private Collection), were quite different compared to delicate pastels and etchings of the courtyards, balcony and canals of modern Venice. 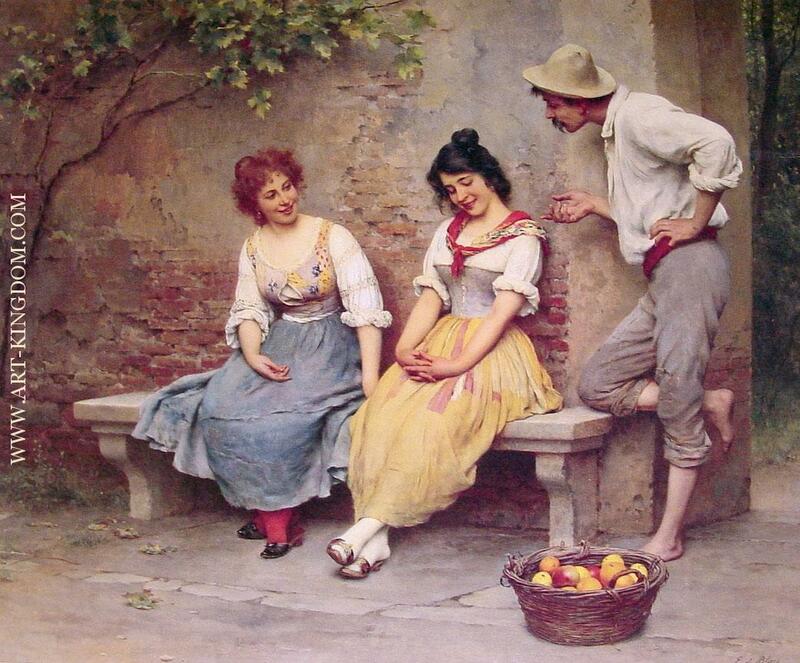 Eugene de Blaas' paintings are collected at the Royal Academy, Fine Art Society, New Gallery and Arthur Tooth and Sons Gallery in London, and also at the Walker Art Gallery in Liverpool.